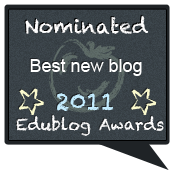 The theme for this years ICT in Education conference was decided at a planning meeting back in November or December. We felt that ‘Student Voices’ would be a suitable theme and at the meeting the idea of having students as roving reporters was mooted by Bernie Goldbach to embrace the theme in a meaningful way. 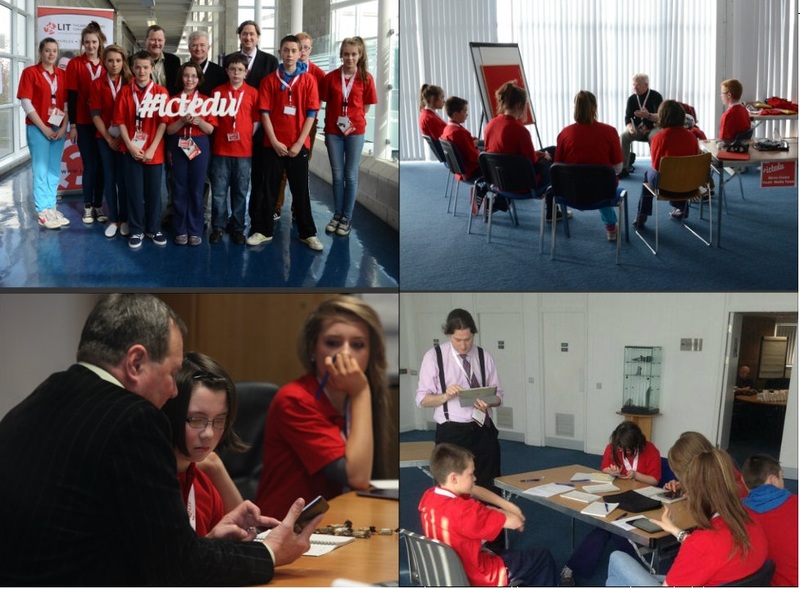 The idea developed over the months and after talking to Conor Galvin at the CESI conference in February the ‘Youth Media Team’ was born. The plan was to have students from 12ish upwards to document the day – taking pictures, doing interviews and posting blog posts using mobile devices. Speaking personally I was completely overawed by the job the team did on the day. This was in no small part due to the mentoring team of Conor Galvin, Joe Dale and Bernie Goldbach who worked with the students during the day. We didn’t prep the team prior to the event so they were unsure of what they had gotten themselves into! Seeing them grow in confidence as the day progressed was a sight to behold. 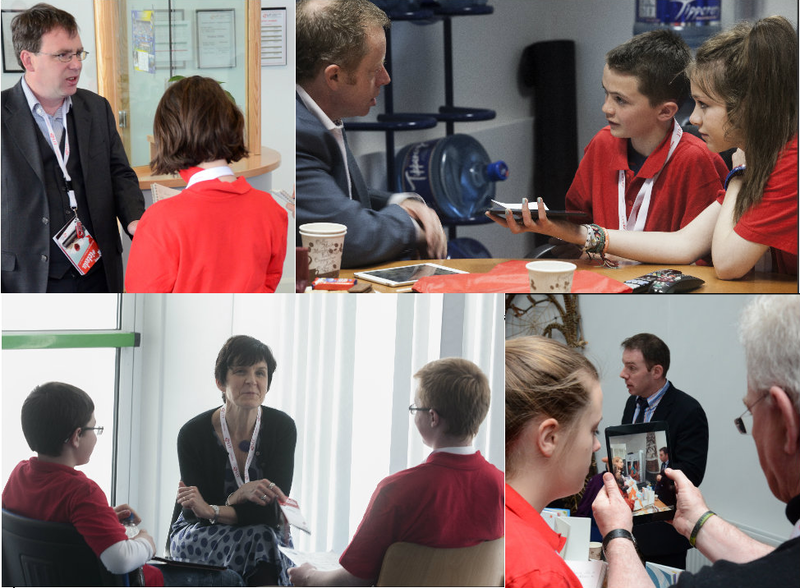 Members of the team interviewed Minister of State Ciaran Cannon, LIT President Maria Hinfelaar and our three keynote speakers Grainne Conole, Catherine Cronin and Martha Rotter as well as anyone else who came their way and they took it all in their stride. I found many of them them waiting impatiently in the corridors throughout the day for their victims workshop presenters to finish their sessions so that they could interview them. They blogged about what they learned along the way and shared their experiences at the closing capstone session for the conference. The experience seems to have been a very positive one for all involved. Attendees seemed to enjoy the interaction with the students and the students themselves seem to have really enjoyed the experience too. 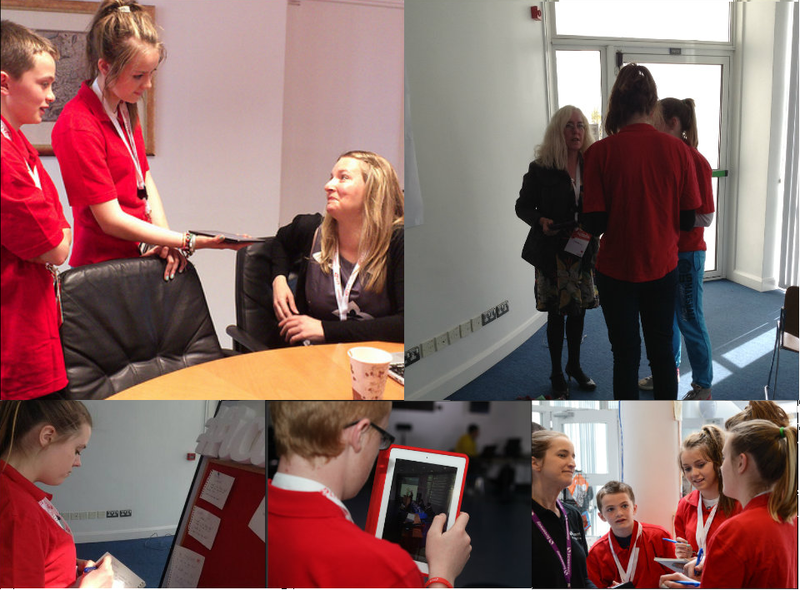 As well as the Youth Media team there were so many other positives to the conference this year. 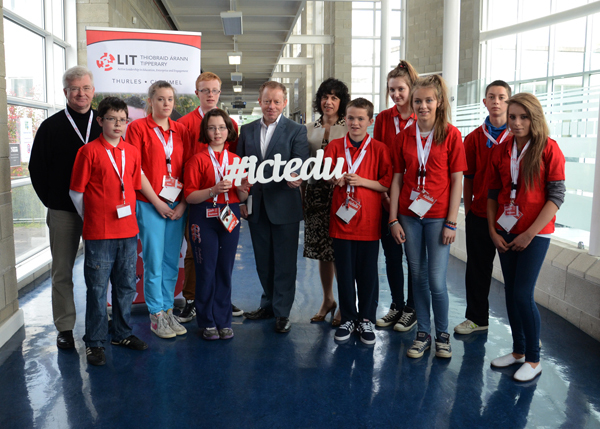 We had the Minister of State Ciaran Cannon at the conference, a politician who seems engaged in the discourse on technology in education and genuinely interested in continuing the conversation. Our three female keynote speakers were exceptional as they sought to inspire attendees and send them on their way questioning what they do and how they do it. Our programme of workshop sessions was very comprehensive this year giving attendees great variety in their choice of breakout sessions to attend. I overheard many on the day speak of their wish to attend more than one session in each slot. The willingness of our attendees to share their ideas and experiences of integrating technology in their teaching is the reason the conference is in its ninth year. Without this willingness to share, the conference would have become unsustainable, so it’s heartening to see educators more willing than ever to come together to connect, to share and to learn from each other. Which brings me nicely to my last point. which is that it was great to again attract more than one hundred educators across the spectrum of education, who were willing to give up their Saturday in May, a busy month for people generally, to inspire and be inspired. Talk has already turned to the 2014 conference, the 10th ICT in Education conference. Personally I’m already looking forward to it, as we look to celebrating this important milestone. This entry was posted in Conferences and tagged connections, ictedu, teaching. Bookmark the permalink.